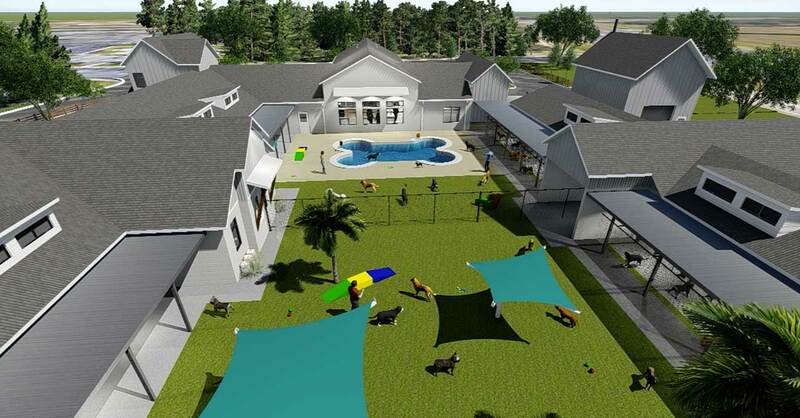 An artist’s rendering shows an outdoor pool and play area for dogs at Pet Paradise in Winter Garden, Florida. In a state crowded with vacation resorts, a new veterinary hospital and boarding facility in central Florida aims to pamper four-legged visitors. Pet Paradise features a bone-shaped swimming pool, an outdoor play area, grooming services and a section called Tiny Town that is designed for smaller dogs. 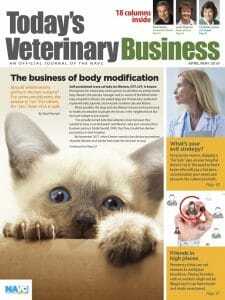 When it comes to veterinary services, the suburban Orlando hospital will be open seven days a week starting April 10. “Our new resort in Winter Garden utilizes our latest model and features design enhancements and amenities directly related to customer and employee feedback,” said Fernando Acosta-Rua, Pet Paradise president and CEO. The chain has 40 locations that are open or under development in nine states. The Winter Garden facility is the third of its kind in metropolitan Orlando. Among other offerings for day care and boarded pets are climate-controlled indoor/outdoor suites, synthetic grass play areas, auto-fill water bowls and private cat condos, the company reported. The staff veterinarian is Brandon Bassett, DVM, a 2015 graduate of the Oklahoma State University Center for Veterinary Health Sciences.